Better Things is, hands down, one of the better things you can stream right now. The raw sitcom manages to capture the complicated reality of life, and the dark humor that can be found in some of the most unbearable of circumstances. But the show was dealt its own real-life blow. So what’s going on with Better Things season 3, what do we know about it and how will the show starring Pamela Adlon be shaped by the departure of Louis C.K.? We break it all down. So what’s happening with Better Things? [post_ads]Luckily, unlike his Netflix stand-up special, Better Things is not being punished for Louis C.K.’s fall from grace after women came forward with sexual misconduct allegations against the comedian. How did it get saved from the ax? Even though Louis C.K. was attached to the show as creator and producer, FX President John Landgraf said the network views it as Adlon’s show. This isn’t a stretch since Adlon played a role in writing almost all of the episodes. “It’s Pamela’s show. These are her stories, this is her life,” Landgraf said during FX’s panel, Variety reports. “She’s the creative engine of that show & that won’t change. I have every confidence in Pamela. It’s been extraordinary watching her grow from an actor into a force of filmmaker.” He mentioned the potential for bringing on a co-writer to work with Adlon, or the actress might write the episodes herself. And so, we’re here confidently talking about Better Things season 3. Breathe a huge sigh of relief because you can expect the entire core cast back for Better Things season 3. 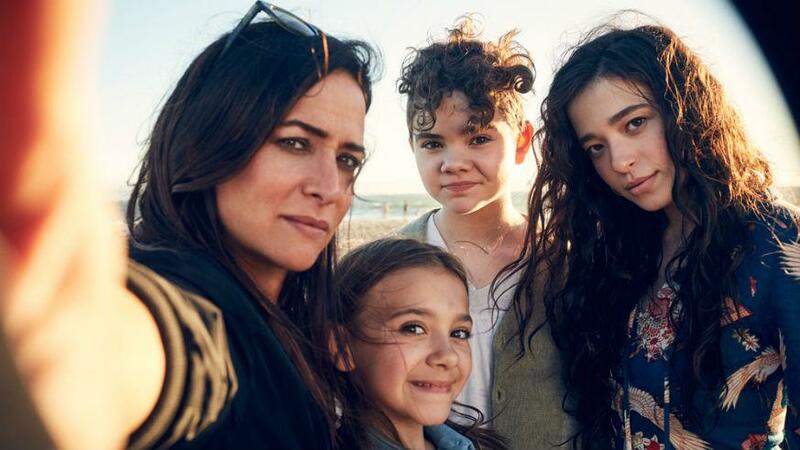 That means more of Sam Fox’s (Pamela Adlon) unique parenting, Max’s (Mikey Madison) oh-so-relatable freakouts about what she’s going to do with her life, Frankie’s (Hannah Alligood) activism (and sarcasm) and Duke (Olivia Edward) being adorable as always. And, of course, expect regular interruptions from Phyllis aka Phill (Celia Imrie) who may or may not appear in just her bra as in past seasons. Many of the guest stars you know and love will be returning, too. Expect Lucy Davis as Macy, Diedrich Bader as Rich, Alysia Reiner as Sunny and Greg Cromer as Jeff, Sunny’s ex-husband. We’re hoping for a return of Henry Thomas as Robin, but that one’s a wait and see. Unfortunately we don’t have the Better Things season 3 trailer yet, but Metro will update this post as soon as an official one is released. Although there’s no official release date for Better Things season 3 just yet, we can make a pretty accurate estimation. Past seasons have premiered in early to mid-September, which means the Better Things season 3 release date is likely around the same time. Even if the debacle with Louis C.K. cost them some time, October should be the latest we’ll see new episodes drop.